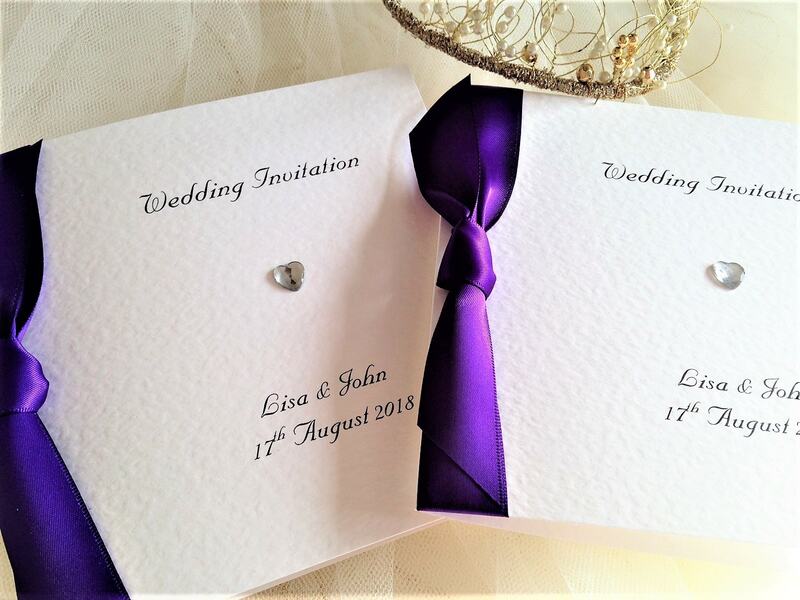 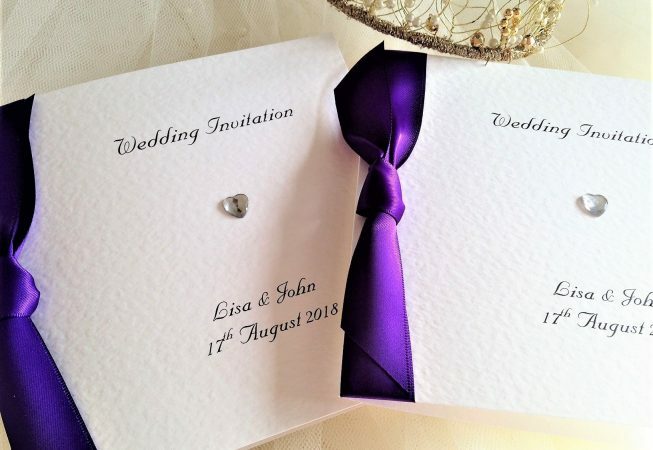 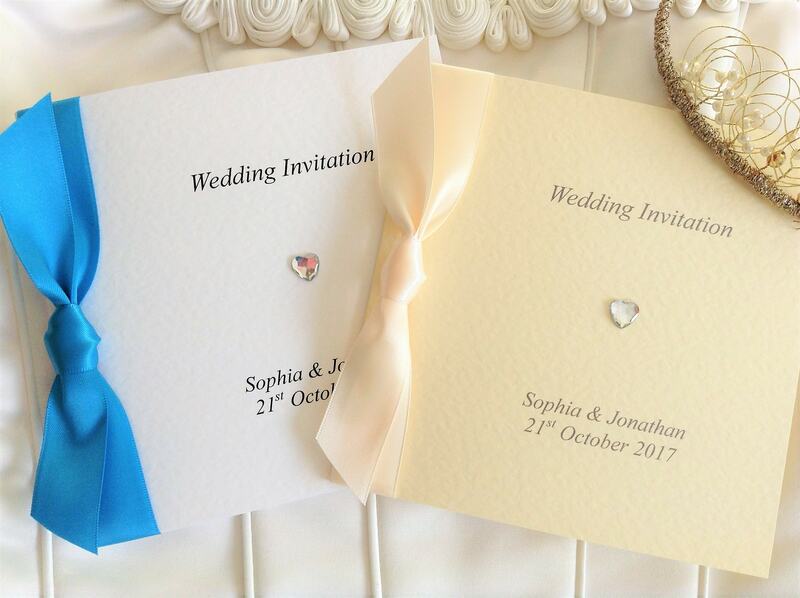 Diamante Heart Square Centre Fold Wedding Invitations are printed on a thick heavy weight (270 gsm) hammered card and are available in either white or ivory. 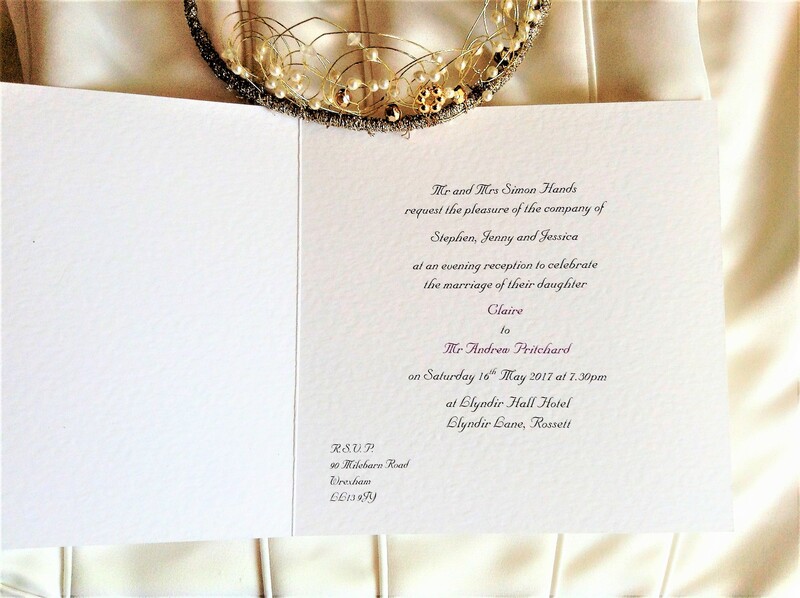 This personalised wedding invitation design is part of our Diamante Heart Wedding Stationery Range. 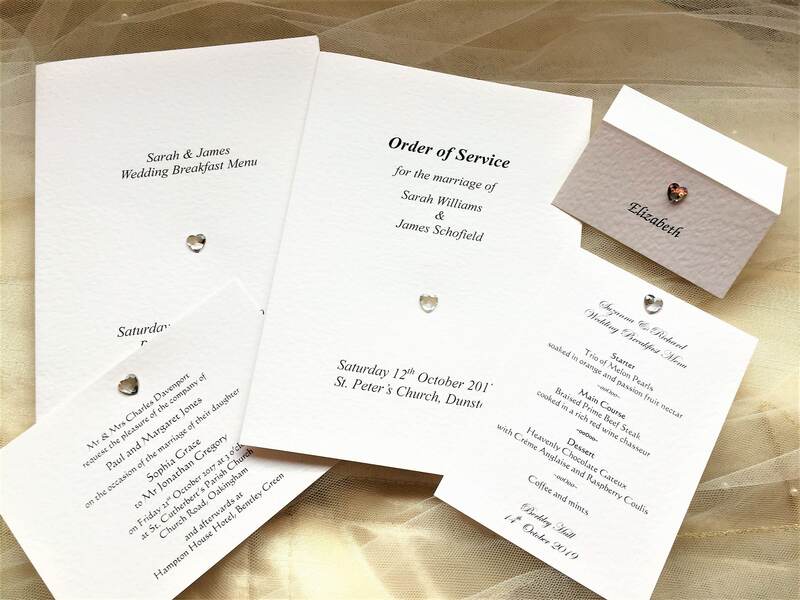 Dressing your wedding invitations with a diamante adds great flair to the occasion and gives the impression of luxury wedding stationery.